Are you trying to find the best heater temperature for your home this winter season? In Oklahoma, the average high temperature in winter is 55 degrees (February) and the average low is 29 degrees (January). These extremes can make it challenging for you to find the right temperature in your house. You want to be comfortable in your home, but you also don’t want to make your home so warm that your electric bill will be sky high. How can you find the right heat level in your house? Read on to learn the best heater temperature for you to set this winter! 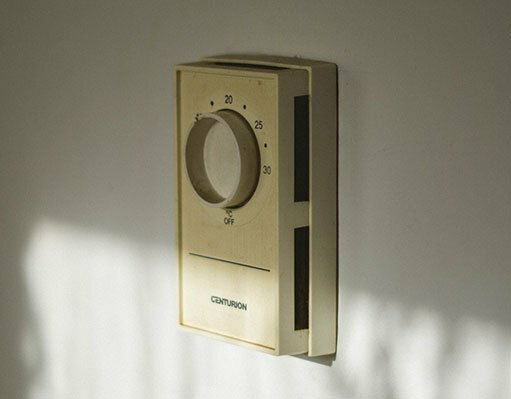 Recommended thermostat settings are a matter of what feels right to you and your family. Generally speaking, the best temperature to set the thermostat in winter is between 68 and 72 degrees. But when you are away from home, you can get away with keeping your home between 62 and 66 degrees. One way to find the best temperature for your family is through trial and error. One of the ways to go about this is to start out by being conservative with your heat use. Instead of going straight to 72 degrees (on the high end of our recommendation), start at 68 degrees on the heat setting. If your family reacts positively to that level, you will be spending less to heat your home than you would for a higher temperature. Heating and cooling can be an expensive part of owning or renting a home. In fact, the U.S. Department of Energy reports that Americans can save 10 percent on heating and cooling costs for seven to 10 degrees at least eight hours each day. You can save a significant amount of money by choosing to reduce the temperature of the heat in winter and raise the temperature of the cool air in the summer. The good news is that heating your home can be cheaper for you and your family by taking the time to track the temperature. It’s also important to keep track of when people will be in your home and when your house will be empty. There is no sense in spending extra money to keep your home at a higher temperature if no one is home! Finding the best heater temperature is worth your search because it can save you money on your electric bills in the winter months. But finding the best temperature isn’t always a perfect science. You need to pay attention to who will be home (for how long) and what the temperature will be outside. At Americare Heat & Air, we are an experienced team of HVAC professionals in Norman, OK. Our team members can perform tune-up and maintenance of your HVAC system and install brand new systems when you need it. We can also work together with you to identify energy cost savings measures to take in your home.